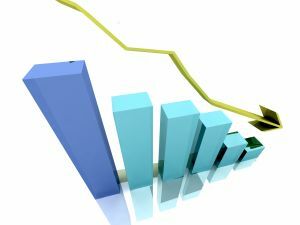 Despite the impending budgetary problems facing the Social Security Administration’s Social Security Disability Insurance (SSDI), current claimants are in need of an increase in disability benefits, due to a general rise in consumer prices. As discussed in a recent news article by The Wall Street Journal, the level of benefits is supposed to be based upon the Consumer Price Index. The program allows for cost-of-living adjustments when indicated, based upon inflation and increases in consumer prices. The latest increase will be a modest increase of 1.7 percent will go into effect for SSDI recipients starting Dec. 31, 2014. The previous increase was 1.5 percent, and there was an increase of 1.7 percent in 2013. As our Boston SSDI attorneys know, the most important thing a claimant can do to achieve the appropriate level of benefits without waiting years during the appeals process is to consult with a lawyer before filing the initial application. The reason is the process is set up in such a way that disabled claimants who apply for benefits without the assistance of an attorney are put at a serious disadvantage. One of things that makes it so difficult is that Social Security Administration (SSA) uses a rigid series of guidelines based upon a claimant’s ability to work at any job in the local or national economy. With regard to using the local or national economy as an indicator, the SSA can argue if a job exists anywhere in the country that claimant is qualified to perform, then he or she is not disabled. As you can imagine, most disabled Boston residents who are in desperate need of SSDI benefits, are generally not in a position to move to another city so they can work a low-paying job. This leads to the next problem of being able to work “any” job. SSA does not take into consideration the salary or hourly wage of claimant before suffering a disability. For example, a skilled iron worker can earn a considerable amount of money each year, depending on the degree of experience. However, if that worker is in an accident and loses an arm, it is unlikely the worker will be able to continue working in his or her former capacity, based upon the requirements of the job and the ability to navigate steel structures and lift heavy objects on a frequent basis. At disability appeal hearings, the Vocational Expert (VE) hired by SSA will consult a Dictionary of Occupational Titles (DOT) to find a job claimant can perform. With one arm and no relevant training, claimant may be able to frequently lift objects under five pounds with the use of one arm, making the job of supermarket bagger a job for which claimant can perform. If VE makes such a finding, and it is not challenged during the hearing, the administrative law judge (ALJ) will likely make a finding that claimant is not disabled and thus not entitled to any benefits. We work to challenges such ridiculous assertions, and fight to ensure your rights are preserved and your best interests are furthered.